Ingham towermill unusually, was built on the site of an earlier_towermill as was the nearby Sutton_towermill. 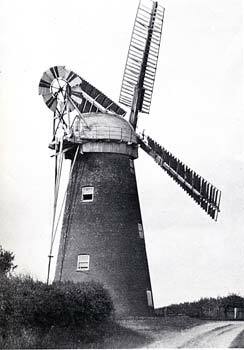 The earlier mill was built c.1763 and the new mill was built c.1872. The 5 storey red brick tower with its staggered sash windows was 42 feet high to the curb and had 2 pairs of double shuttered patent sails, struck by rack & pinion via a tail pole, that drove 3 pairs of stones. One pair had 9 bays of 3 shutters and the other pair had the same configuration except that it had 4 shutters on the innermost trailing edge. 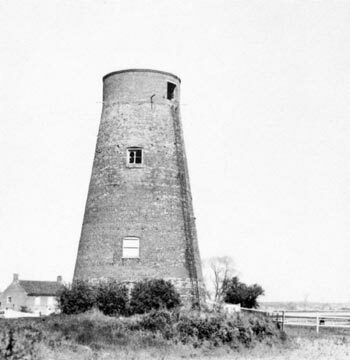 The Norfolk boat shaped cap had a petticoat, gallery and a 6 bladed fan with the distinctive stripes of Ludham millwrights, Englands. Unusually the tower is now 49 feet high. Upright shaft pine. 17½ ins. diameter below the great spur wheel and square above it. Sack hoist - gear drive from underside of wallower. 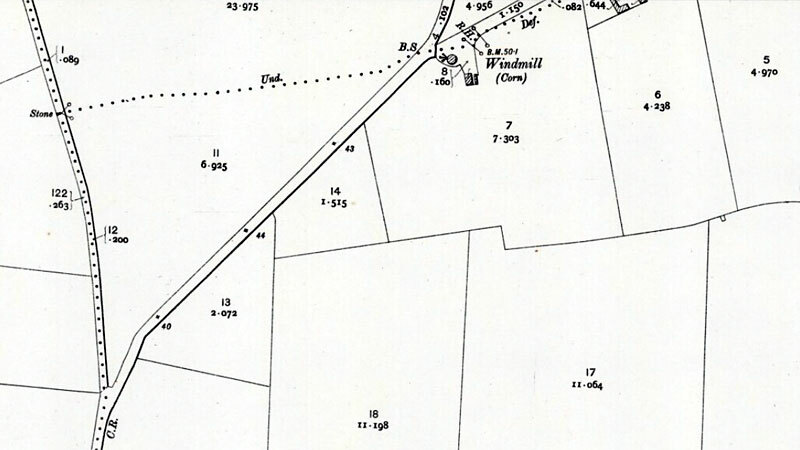 Application to Mr. R. Cooke, Stalham. A FARM situate in the parishes of Ingham, Sutton & Stalham in Norfolk comprising a capital FAMILY RESIDENCE & Agricultural Premises adjoining & about 155 Acres of LAND & also a WIND FLOUR MILL in good working condition. All now in the occupation of Mr. James Frosdick who is under notice to quit at Michaelmas next. Further particulars in future Advertisements. George Matthews, late of Ingham, Farmer & Miller, deceased. 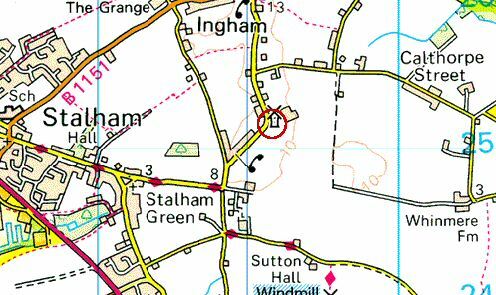 In his book Attack Warning Red, of 1976, Derek Wood provided a list of World War II Observer Corps posts and mentioned that Stalham post opened in 1934. 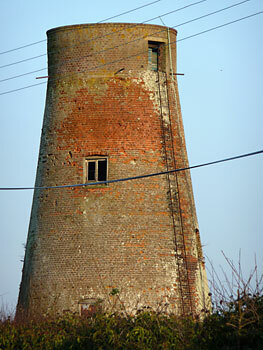 This post appeared to be Ingham mill, with the top seven feet being renewed in modern brickwork with no batter. A Ministry of Defence notice stood outside. The post was moved underground in 1959. 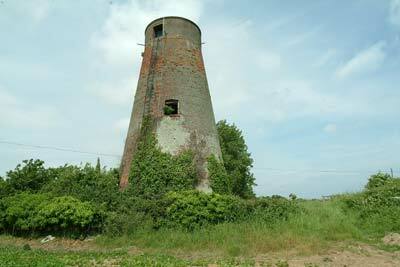 The metal ladder that used to be up the side of Harpley mill was almost certainly added in the War. 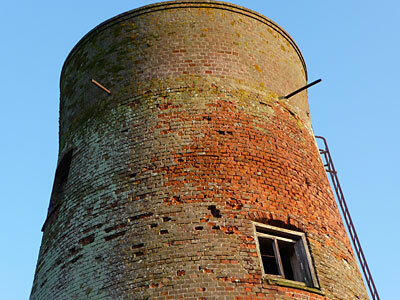 A few other tower mills used as observation posts, such as Ingham, and Newton Aycliffe, Durham have these. 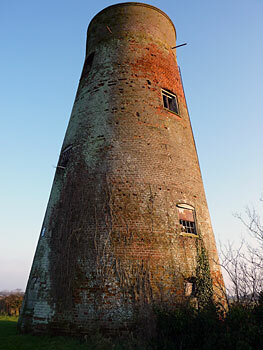 The 1872 mill rebuild was about 42 feet high but subsequently an additional storey of 7 feet without batter was added by the Royal Observer Corps during WWll.